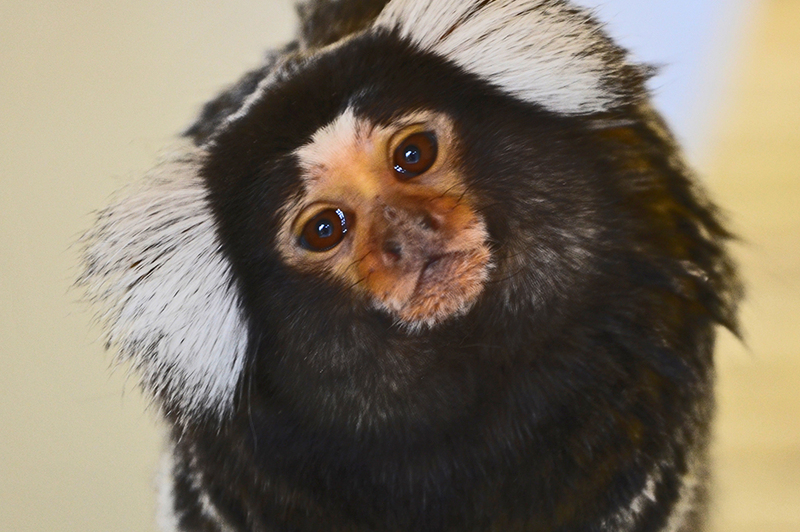 Our Menagerie has a variety of animals for you to see, a family of meerkats and marmosets. We have a giant tortoise, miniature pony and a selection of birds, along with the more traditional pigs, goats and rabbits. 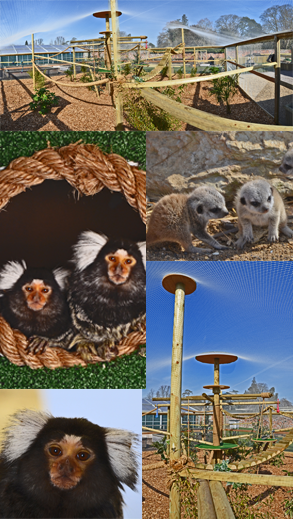 If you would like to feed the Meerkats we offer a private Meerkat feed which costs £50.00 for up to 10 people (normal Garden admission prices apply). To book please email via the contact us page (check your SPAM for a reply), please note we need at least 1 weeks notice. There is a minimum age of 5 years and children aged 6 to 12 need to be accompanied by an adult. All participants will need to wear closed toe shoes. Feeding times are generally 10am. 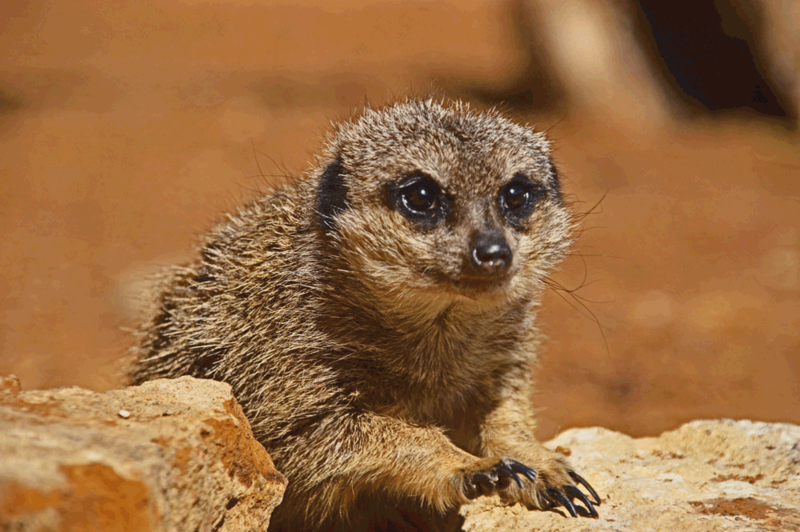 Meerkats are small african herpselid species found in many ranges of South Africa, Botswana, Zimbabwe and Mozambique. Length 425mm-600mm Weight 720g-731g, males larger of the sexes. Fur colouration is to their environment – arid desert – sandy tan colour. Ears and tail tip black. Their claws are 25mm long – great for digging and for defence. The skin on the chest is black to absorb the sun and has been described as a solar panel! Once warmed up they are extremely active. Captive meerkats are happily kept in an enclosure, they are very social and are best in pairs or groups. Each meerkat has a job to do. The dominant females will be the matriarch of the family. Males regularly take sentry duty on a tree stump, they will sit at the highest point and observe the surroundings, if a predtator is spotted – cat, dog, even plane – he lets out an alarm call and all the meerkats dash for cover into the burrow. They have different calls for different predators. Best known and most frequently kept callthricid species. Body length 19-20cm tail 27-35cm, hind foot 52-68mm. Female weight 260-350g males up to 450g. Identified by long white or grey ear tufts, blackish crown with white blaze on forehead. Mottled grey-brown body, the posterior part of the back finely branded with grey or orange and black. The tail is ringed. They have well developed epidermal scent glands and scent marking behaviours, suggesting chemical communication is of great importance in the social structure of this species. The family groups are probably structured around one breeding pair which share the caring of the young with sibling juveniles and related adults. After a pregnancy period of 141-145 days, 1-4 usually twins, are born. The neonates weight 60-150g. The young become sexually mature at 18-24 months. Longevity is 8-12 years in human care.